Join us in the fun, adventure, learning and growing. Please send us an email and we can provide the information so you and your family can stop by to one of our pack meetings that are normally held the last Friday of each month. 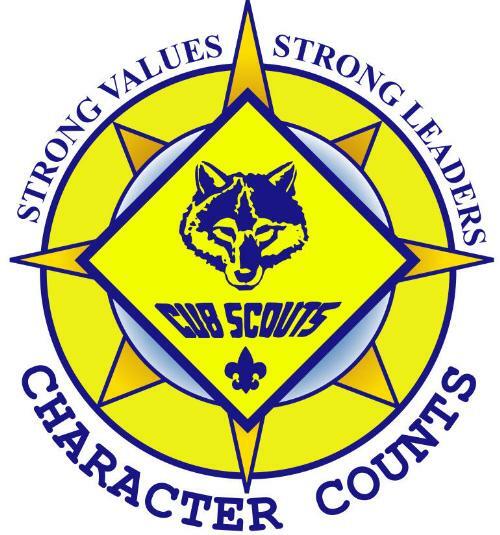 Each cub scout is a member of a den, which is separated by grade levels (Kindergarten through 5th grade). Each den has about 6-10 boys on average, and meets 2-3 times a month for meetings, activities or small trips! All the dens together make up the Pack. The Pack meets (with their families) generally on the last Friday of the month. Sometimes there are special events on special days, as well as service related outings and projects. The Pack Meetings have a monthly theme that is built around core values. We give out awards and achievements that were earned during the previous month. We play games, make crafts, have snacks and discuss upcoming activities and trips. It's a great time for everyone!